1pr Saddle bags made of Matt cow hide. 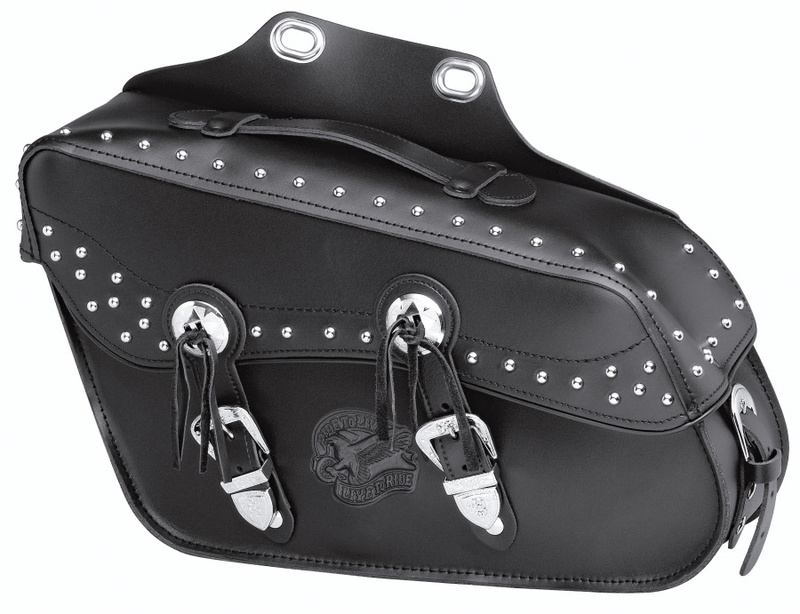 Slant saddlebags with front and side closing straps. Sloping shape for more comfort for the pillion rider, great for bikes with slanting shocks. Draw cord for safe attachment. Stainless Studs and Conchos.